Coroplast signs are used for short-term signage inside or outside use. They are made of a versatile material and are an inexpensive and easy way to get your message across. This type of sign is weather-durable and very lightweight. Coroplast signs are one of the most common ways to advertise! The purpose of a coroplast sign is to advertise or get a message across to potential customers. They are meant to catch the eye of a passerby in hopes of getting them to come into your store, ask questions, sign up, or follow another call to action. The setup of the sign is dependent of where it needs to be displayed. For a yard sign, you may want to have your sign attached to stakes or thin poles and plant them into the ground for sturdiness. If it is possible, the sign can be attached to the outside of a building. If being hung inside, you could use suction cups (if against a window), Velcro, or even double sided tape. Where can I get coroplast signs quickly? 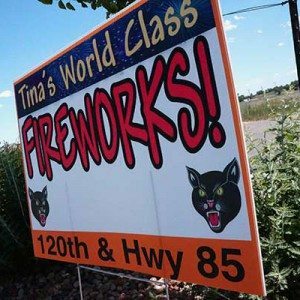 Signarama, Colorado is one of the world’s largest and most trusted companies for signage. We can create any amount of economical coroplast signage that you might need. 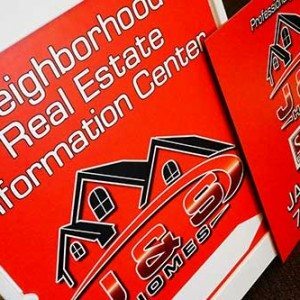 We design and create your signs for you so all you have to do is pick them up. Check out our website and request a quote. We’ll be happy to help you!